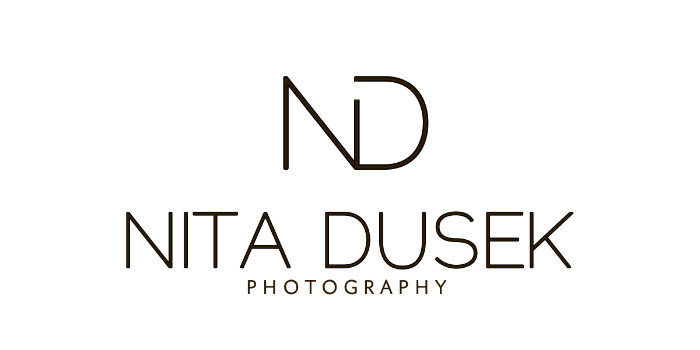 Thank you for your interest in Nita Dusek Photography! Please feel free to call us at (715) 377-6277 or email us with any questions you may have that aren't addressed here. Where is Nita Dusek Photography located? We are a residential studio located between Hudson, Wisconsin and River Falls, Wisconsin, just 4 miles south of I-94 exit #2. We serve the Western Wisconsin area (River Falls, Hudson, Roberts, Ellsworth, Prescott, Baldwin, and New Richmond area), and surrounding Twin Cities areas in Minnesota (Woodbury, Oakdale, Stillwater, Lake Elmo, Lakeland, St. Paul, and Minneapolis). We are approximately 15 minutes from Woodbury, Minnesota and only 30 minutes from the Twin Cities. With minimal stoplights and mostly interstate, it’s a quick, relaxing, beautiful drive to the country. By appointment only. Regular studio hours are Monday thru Friday 2pm-7pm and one Saturday a month. What do I need to do to reserve my sessions? We collect a $300 reservation fee to confirm the time and dates of both your consultation and portrait session. Your session fee will be deducted from the reservation fee and the balance will be credited to your portrait order. Reservation fees are nonrefundable. We can accept V/MC/D over the phone. You are also welcome to mail a check, but session times will not be entered into our system until the check is received. This is for both your protection as well as ours. Besides, nobody knows your son or daughter better than you do. Although your initial thought may be that you feel your presence may make your child uncomfortable, we have found the opposite to be true. It is a really a fun experience to share with your teenager. Having their best friend with them also brings out those real smiles! Sometime life happens, and we understand that. If you need to reschedule, whether due to illness, weather, travel delays or emergencies, please call us as soon as possible (at least 24-48 hours in advance). While our reservation/session fees are non-refundable, you may use it for a one-time reschedule (if called within the 24-48 hour window) within 6 months of your original appointment date. What do we wear? What do we bring? Clothing & props are very important as they set the tone of your entire portrait session. The appropriate clothing varies depending upon session type. We cover this in our pre session consultation. What is a consultation? Do I have to have one? While we don’t require an in person consultation, it is highly recommended. This is a time for you to get familiar with the studio and see samples of our portrait art, and for us to work with you individually to select the perfect session and go over how to get ready for it. However, if coming in to the studio for a consultation is not an option, we can go over everything you need to know over the phone. We want to ensure that your portrait session is everything you want and more, and we strive to make this experience one that you will never forget. You bet. The more you tell us, the more we can customize the session to your personality. Please do not arrive early. The time we tell you is the time for arrival, taking into consideration that there will be a few minutes to get settled in and ready before your session starts. What if it is cloudy or raining? Don't worry about clouds... clouds are great! With clouds, there’s no squinting or harsh shadows. Showers can come & go very quick, so if it looks like rain just call before you leave and we’ll decide if we need to reschedule your session. We can't control Mother Nature, so we do our best to work around her. Keep in mind that we can get some really fun & unique outdoor portraits in the rain - especially for seniors! When you schedule your session, we will also schedule your ordering appointment. You will return to the studio 5-7 days after your session to view and order your images. (If you are from out of town, ask about special arrangements.) You will get to see the results of our work together in a custom slideshow presentation that beautifully showcases your portraits. These sessions are always fun, and sometimes, very emotional too. Many clients say this is their favorite part, as you get to see your portraits on a large screen. Then, we use specialized software to help you narrow down your favorites and take a look at different creative options. As a boutique studio, it is our pleasure to help you through the sometimes difficult decision making process. This is much easier than trying to figure it out alone at home. Depending on the products ordered, they will be ready in 3-5 weeks. We will contact you when your portraits are ready to schedule a time for pick up. When you pick up your portraits, we will go over your order with you to ensure everything is to your satisfaction. Portrait orders can be shipped upon request for an additional fee. We accept cash, checks, Mastercard, Visa, Discover, and America Express as well as convenient PAYMENT PLAN OPTIONS for you and your family. We have biweekly and monthly payment options: we can bill you monthly or you may leave a credit or debit card on file with us to be charged on a specific payment schedule. When your order is placed, the prepaid order credit will be subtracted from your total balance due. 50% of the remaining balance must be paid in order to send your order to the lab for processing. Orders are non-refundable and non-changeable after 24 hours. All invoices must be paid in full when you pick up your order. No portion of any order may leave the studio until your account is paid in full. Once your order is sent to the lab, it will take approximately 3-5 weeks for your order to be completed. Rush service is available. How much will I be spending? This will depend upon the type of portraiture you are interested in. We offer three options - #1 "Custom Portrait Collections" allowing the best price with the most flexibility, #2 a set package with a specific number of poses and prints, and #3 A La Carte products. The “Custom Portrait Collections” allow you to select the sizes, quantities and products that you want, and begin at just over $650. Many of our clients choose to create wall groupings from their session, and our custom albums are also very popular. It is entirely up to you what art pieces you would like to create from your portraits and how you would like to display them. Just don't be surprised when you love the images so much that you end up wanting to invest more than you originally thought! Many of our families will spend $1200-$1800 or even more. It means we did our job right. Do we get proofs to take home? When you come in for your ordering session, your portraits will be projected onto a large screen TV and you will get to view them for the first time via an awesome slideshow. We will project your portraits in a range of actual sizes so that you can see different cropping ratios. With this new advanced method of proofing, there are no “proofs” to take home. What if I have a hard time deciding on what to order during my view & order session? Don’t worry! We will be there to help guide you through the process of sorting out your favorites and to explain all of your options. We’ll answer all your questions and, if asked, offer our professional opinion. Additional view & order sessions are available if necessary for an additional fee and all discounts and bonuses are lost. Do you offer frames or custom framing? For your convenience, all of our wall portraits include a complimentary standard frame. We also have a variety of custom frames available for you to choose from. Being a full service studio, it only makes sense that you take home a completed piece ready to hang and display. Will my images have your logo? Yes. All gift prints (5x7's and 8x10's) will have my logo. All wall portraits (14" and larger) will be hand signed. Will my portraits be retouched? All portraits ordered include light retouching and artwork– removal of blemishes, softening of the skin, color enhancement. We will not remove scars, moles or birthmarks unless specifically requested. Extensive retouching- such as removing braces, glass glare, clothing straps, etc- can be done for an additional fee. With the exception of High School Seniors, all files are deleted shortly after your products are delivered. But the inevitable is always possible… hardware and disk corruption, fire, etc. To ensure you get all images you want, we recommend you order everything at your initial order appointment. Our greatest compliment is to see you again... next to that is your referral! We love it when you love your portraits, and when you tell your family & friends, you will receive a $50 certificate good towards your next session! Can I scan your portraits? All portraits from Nita Dusek Photography are copyright protected. It is ILLEGAL to scan, copy, or reproduce the portraits without the written permission of Nita Dusek Photography. This means that scanning for electronic purposes (Facebook, IG, digital frames) is NOT allowed. We offer low resolution images for electronic use. We also offer high resolution copyright releases at varying rates. We appreciate your understanding & cooperation. call (715) 377-6277 or click HERE!